Our Powerful Learning Practice group blog — Voices from the Learning Revolution — has just published its 100th post! And every one of them has been written by a PLP community member. 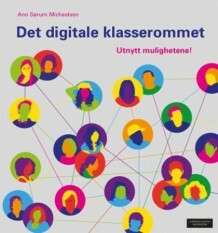 We’ve titled this group blog “Voices from the Learning Revolution” not because our bloggers are necessarily revolutionary leaders — but because they are leaving behind outdated practices and mindsets and shifting toward the kind of connected, digitally infused teaching and learning that we know our 21st century students need. Our goal has been achieved and surpassed, with so many great posts by teacher, school and district leaders who’ve been willing to dig down deep and write about the hard work of making the shift to student-driven learning. We’ve had posts reprinted, cited and highlighted in places like Education Week, the Washington Post, San Francisco public TV’s Mind/Shift blog, the ASCD Inservice blog and Learning Forward. We urge you to become a regular reader of Voices articles — PLPeeps are our first and most important audience. Here’s an index that will lead you to summaries of the first 92 posts. 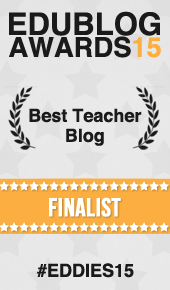 Also, if you’re a blogger, nominations for the 2011 EduBlog awards are now underway. If you like what you read at Voices from the Learning Revolution, I hope you’ll consider nominating VFLR in the Best Group Blog category. Here’s how. In January, we plan to launch Powerful Learning Press with our first collection of Voices essays. And we anticipate many more collections to come. So get involved! Read, write, comment, nominate. As Will said so eloquently in a recent post we’ve republished in the Voices space, it’s up to us — the educators who understand teaching’s place in the 21st century — to convince the public that educators can never be replaced by apps.